The judge at Chris Young’s trial described his life sentence as “way out of whack.” The absurdity of his punishment is matched, though, by the fierce passion for self-improvement and education that drives Chris now, even as he is doomed to die behind bars. His is a remarkable story. There was something unusual going on in Judge Kevin H. Sharp’s courtroom on August 28, 2014. It was the sentencing hearing for Chris Young, convicted of low-level drug crimes, and the time had come for the defendant to speak before the court. Chris talked for less than a minute before Judge Sharp interrupted. “Can I stop you for a second and slow you down a little bit so that I can catch what you’re saying. I want to listen to you … I want to hear what you have to say,” said the judge. Chris began again, slower this time. What followed was stunning. He spoke for far longer than defendants usually do, on topics ranging from American history to complex principles of economics, to politics, to his own desperate childhood. He told the judge about how he used to care for his deceased brother’s child, how he would reward good grades earned by neighborhood kids on Report Card day, that he often paid for groceries for the elderly in his community. He said these things had made him feel respected and worth something. He described to the court how he’d been working on the speech he was now giving for close to a year, even going so far as to memorize it and practice in the shower. The point, it seemed, was to show the judge that he understood “the power of volition. And with my free will and with my choice, I choose to be a positive, productive, successful, law-abiding citizen if given the chance,” as he said in court that day. 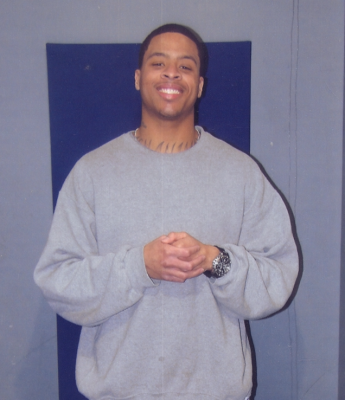 The young man’s eloquence and positive attitude were all the more remarkable because long before that day, Chris knew that he was almost surely facing a life sentence. As he spoke of free will and volition, he knew that he would never again be a free man. Chris was born in Clarksville, Tennessee, in 1988. He never had any relationship with his father, and his mother battled serious substance abuse problems and was in and out of jail. Chris, who battles sickle cell anemia, describes a harrowing childhood: “We spent a significant amount of time living with no lights or water. When it was wintertime, [my mother] heated the house with kerosene. When it was nighttime, she lit the house with candles … a lot of times I didn’t have baths unless my brother sucked up his pride and asked one of his friends in the neighborhood could we bathe at their house.” His brother committed suicide when Chris was 18, and it was Chris who discovered the body. He began selling drugs as teenager. Twice he was arrested during traffic stops, at 18 and 19, and convicted in state court. In one instance he was convicted of drug possession with a firearm (less than seven grams of marijuana and cocaine) and in the other for possession of less than a half-gram of cocaine. The court sentenced Chris to probation and no prison time. But his convictions branded him as a felon for federal purposes—which would later have grave ramifications. On December 10, 2010, Chris was arrested at a gas station as he was talking with a man who was later identified as the leader of the drug conspiracy. Drugs, $10,000, and a gun were found in the man’s car. The 14-year plea deal that the government offered seemed like a lifetime, so Chris rejected it. As his co-conspirators accepted pleas of between two-and-a-half and 25-year sentences, Chris moved closer to his trial date. And in response to Chris’ reluctance to accept a plea deal, the government raised their offer: Plea and receive a 22-year sentence. Chris could not fathom going to jail for as long as he had been alive, especially since the people at the top of the conspiracy were receiving shorter sentences. It seemed absurd that his low-level offense warranted 22 years. He made the decision to go to trial, and remained in custody for three years, waiting for his day in court. He read anything he could put his hands on at the jail library, teaching himself history and economics, learning about leaders of industry, philosophy, and medicine. During this time, the prosecutor filed for enhancements because of Chris’ two prior convictions, enhancements that required the imposition of a life sentence. Four days into the trial, then Attorney General Eric Holder issued a memo to United States Attorneys that suggested that the government look closely at individual cases. Holder enjoined U.S. attorneys to “ensure that our most severe mandatory minimum penalties are reserved for serious, high-level, or violent drug traffickers.” Holder recognized that “[L]ong sentences for low-level, non-violent drug offences do not promote public safety, deterrence, and rehabilitation.” But the government declined to withdraw the discretionary filing of Chris’s enhancement. Chris was found guilty of conspiracy with intent to possess and distribute 500 grams of cocaine and 280 grams of crack, intent to distribute within 1,000 feet of a high school, felon in possession of a firearm, and knowingly possessing a firearm in furtherance of a drug trafficking crime—and his mandatory life sentence would stand. At sentencing, Judge Sharp said the imposition of a life sentence was “way out of whack” with what his co-conspirators had received. The judge said, “Each defendant is supposed to be treated as an individual. I don’t think that’s happening here.” Indeed, since Chris’s trial, Judge Sharp has retired from the bench, citing his deep ethical discomfort with sentencing people like Chris—young men “barely on the totem pole” of drug conspiracies—to die in prison. And he’s taking a deep dive into figuring out how he can help change our broken criminal justice system. As he has been inspired to learn and grow despite his imprisonment, Chris hopes he can inspire others to avoid his fate—a life sentence for a low-level drug crime. Chris’ heartbreaking story inspires all of us at FAMM to work harder. Please join us: become a FAMM Advocate and fight for Chris!